On a grassy paddock just outside of the village of Kenmare sit 15 stone boulders — 13 standing upright and another two prostrate. These large stones arranged in an egg shape comprise one of the largest stone circles in Southwest Ireland, dating back to the Bronze Age. In the middle of the stone circle sits a dolmen with a capstone, often used to mark the burial place of a significant figure in the Munster region. Experts believe the capstone to weigh nearly seven tons, which would have required 30-odd men to drag into position. 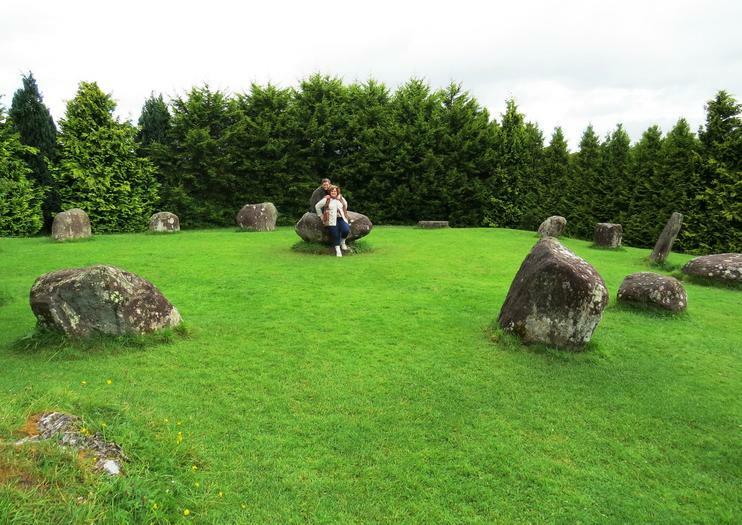 The stone circle in Kenmare is one of over 180 in Ireland and of 20 in County Kerry. It’s the only one in the region to exhibit an egg shape. To reach the stone circle, follow the signs from market square along the left side of the road.